No problem! Expand any of the questions below. What are the activities of Swiss Photo Club? Here is a summary of our activities, in Geneva, Lausanne and Zurich. Feel free to contact us if you have additional suggestions. Subscribe to our email list if you’d like to hear more. The exact location of each course is different – either at the studio of the instructor or a central meeting place in the town. Feel free to get in touch with us if the exact location of the course is important for your registration. Is my camera suitable for your courses? Any camera that allows you to select shooting mode (P/A/S/M) is ok for the courses (except of mobile photography classes of course). The generation, brand, or sophistication of the camera is irrelevant but it can not be a compact pocket camera. Feel free to email us your camera make and model. We will check its specification online and let you know if your camera is suitable for that particular course. We can also arrange you a camera during the course – please check with us in advance so that we can reserve a Nikon or Canon for you. Generally if you are coming to our photography course, you should bring your digital SLR camera with batteries fully charged, memory cards and at least one lens. Having said that you are welcome to bring as much equipment as you like. Are there any breaks and refreshments? We realize that maximum time anyone can focus on a subject is about 45 mins. So we will give a break about every hour to let you rest and digest all that you have learnt. Please note that we don’t provide food for lunch, however there will be plenty of tea, coffee, water, biscuits, fruits and so forth available free of charge. How can I pay by Bank Transfer or in cash? 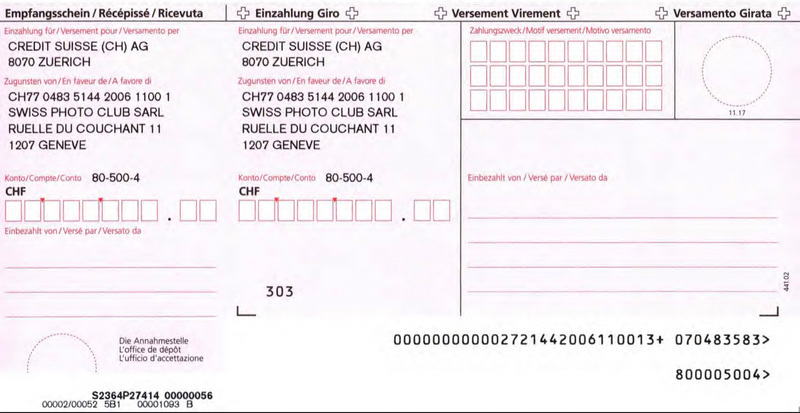 Important: Once you make the payment, please send the payment confirmation (either the pdf or just take a photo of the slip) and send it to contact@genevaphotoclub.com, so that we can approve your registration quickly. Which camera do you recommend for a beginner? Check our new camera & photography equipment guide for Switzerland! I registered to the course, what now? If you have registered and paid, just make sure to check your email a few days before the course. Our instructor will send you specific instructions about the course directly to your email (exact address, directions, what you have to bring with you, etc). 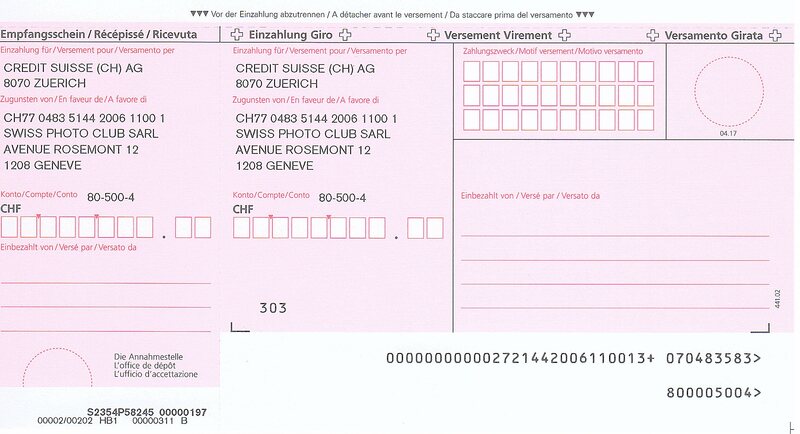 If you have registered but not paid yet, please make sure to transfer the payment or pay at any post office as soon as possible (you can use this payment slip). This is how you can secure your spot in the course. Please see the relevant section in our terms and conditions page. What happens if I’m late or miss a course? We start classes promptly and keep to stated hours, please try to arrive 10 minutes earlier to prepare your camera and all the gear that you have. If you are running late or can not find us, please let us know and call us at the phone number you have in your confirmation email. If you find out that you can not make it on the day, we would appreciate if you notified us as soon as possible. If you wish we can try to make some alternative arrangements for you. If you would like to cancel your attendance, try to give us enough notice we can offer you a full or partial refund. Please see our refunds and cancellation policy.